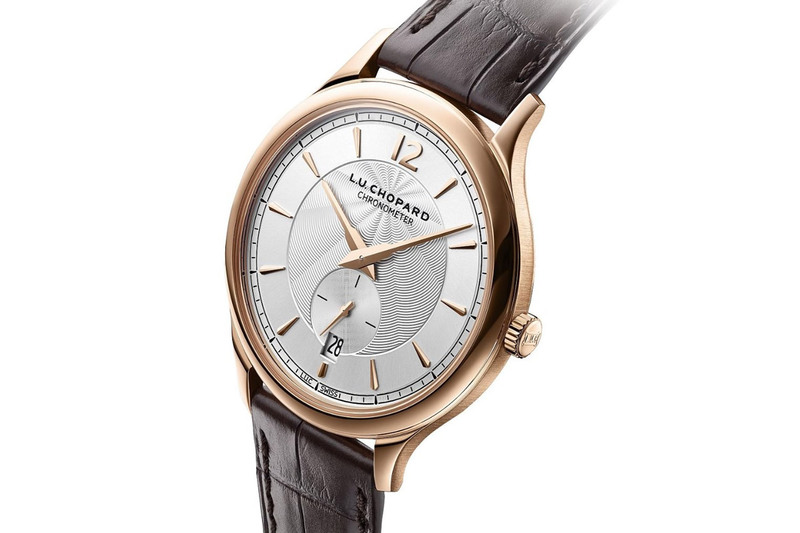 With the new L.U.C XPS 1860, Chopard pays homage to the first watch created for the L.U.C collection: the original L.U.C 1860 launched in 1996 as the first timepiece produced by the Chopard Manufacture. The new L.U.C XPS 1860 has a diameter of 40 mm with short, ergonomic lugs to ensure a perfect fit on most wrists. 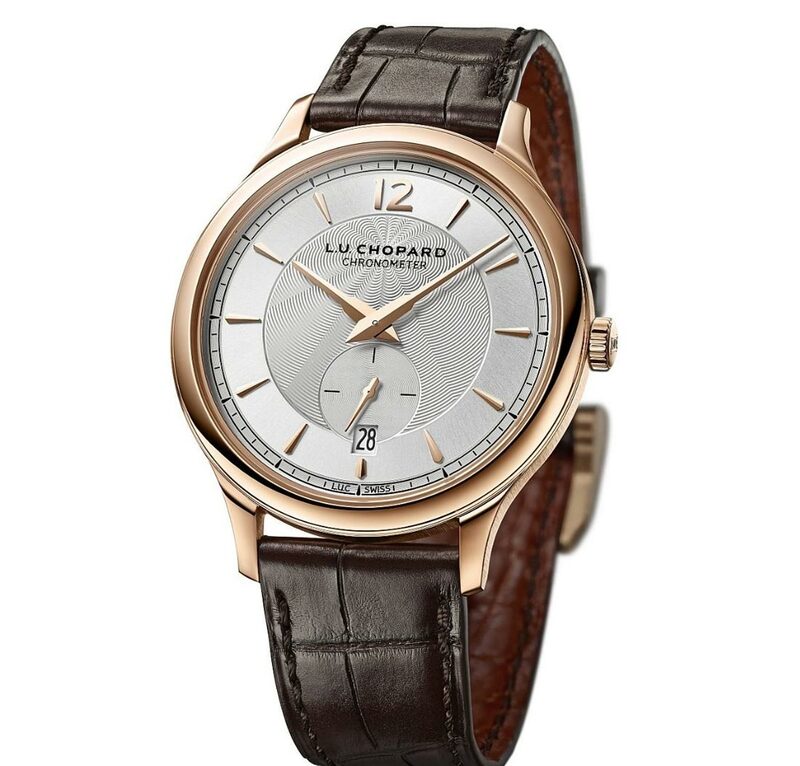 With a total thickness of just 7.2 mm, the new L.U.C model can be classified as an ultra-thin timepiece. The elegant gold dial, with small seconds sub-dial at 6 o’clock, features a central part with a hand-guilloché motif radiating out from the logo at 12 o’clock. A rare feature for an ultra-thin watch, the date is positioned at 6 'clock. 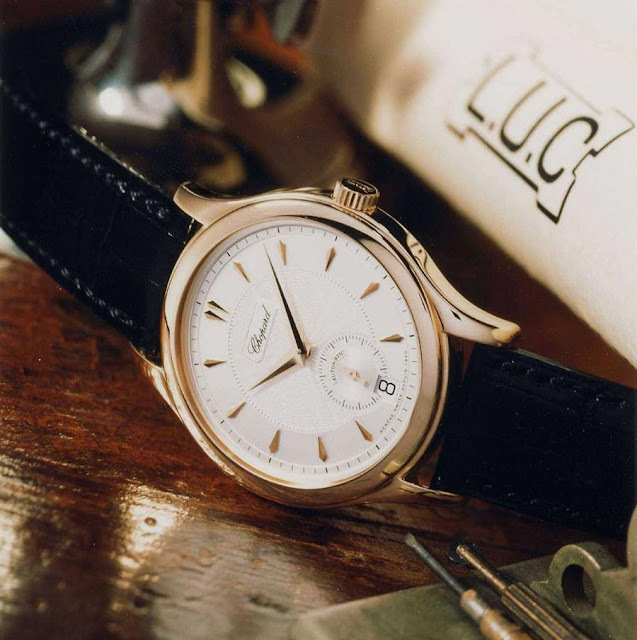 Like all L.U.C watches with a seconds indication, the L.U.C XPS 1860 is chronometer-certified by the COSC. 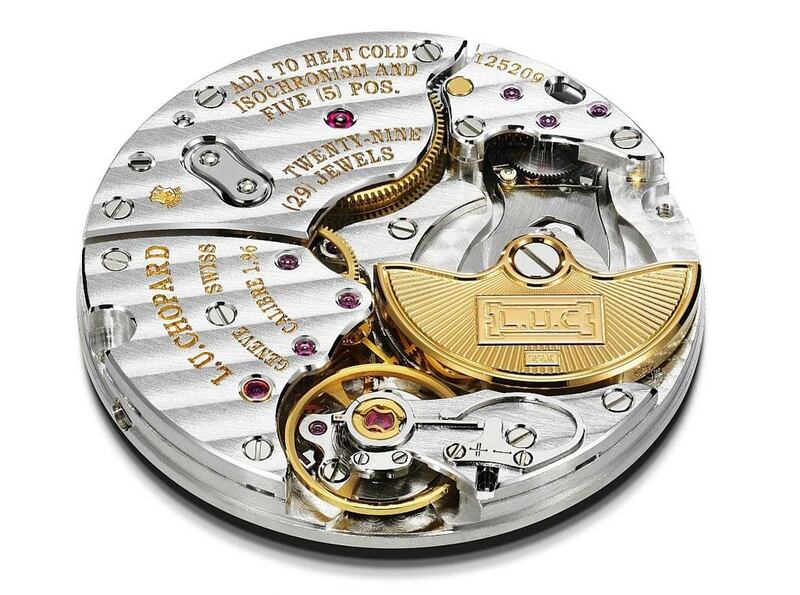 The Poinçon de Genève quality hallmark certifies the quality of its construction and finishing. Chopard L.U.C XPS 1860. 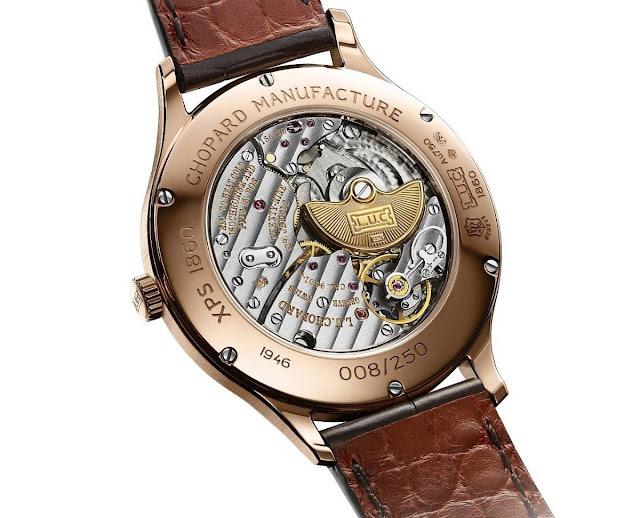 With the new L.U.C XPS 1860, Chopard pays homage to the first watch created for the L.U.C collection: the original L.U.C 1860 launched in 1996 as the first manufacture timepiece. 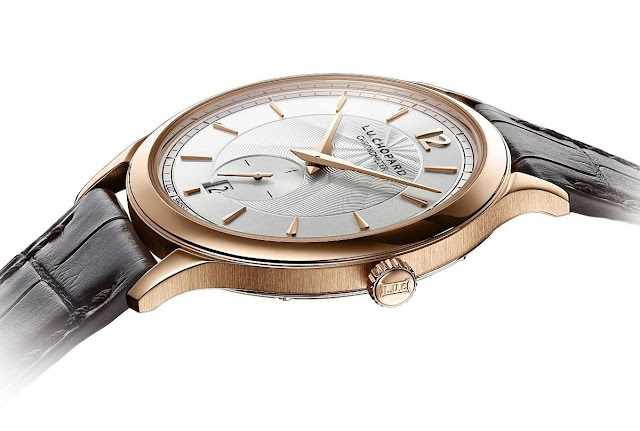 The Chopard L.U.C XPS 1860 (ref. 161946-5001) is produced in a 250-piece limited series with a price of Euro 19,950.